Sealing the door weatherstripping was a big improvement and resulted in a reduction of noise from the stairwell area. I had some QuietCoat left over from another project. 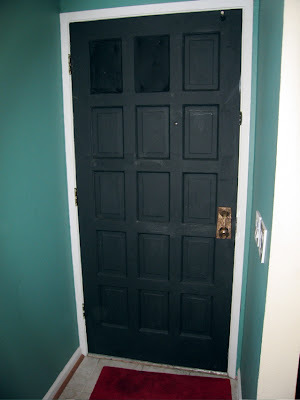 Though it was not meant for wood, I did coat the entire interior surface of the door. There seemed to be a slight reduction in sound. 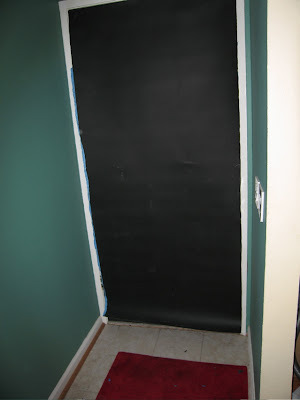 I bought some acoustic foam to fill in the thin area of the door panels. This resulted in no noticeable improvement. 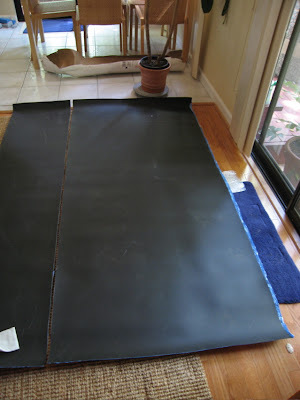 I then purchased some MLV/Mass Loaded Vinyl which had one side with adhesive. The MLV will help block the sound. I layed the MLV out on the floor and trimmed it to the size of the door I then attached it to the interior of the door, covering the whole surface. 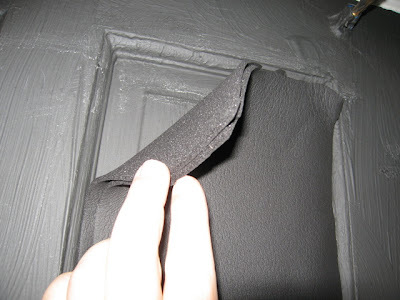 I used some small nails to further secure the sheet of MLV to the door. Also, the MLV is rather heavy, so you may want a friend to help. This further reduced the noise from the outside stairwell. Some things to consider. Make sure that your door hinges can handle the extra weight of the MLV. Ok, now I was left with a really UGLY! door. Stay tuned for Part 3, where I solve this problem.